TRIMFIT IS THE FUTURE OF FUNCTIONAL BEVERAGES. A CATEGORY CREATOR. 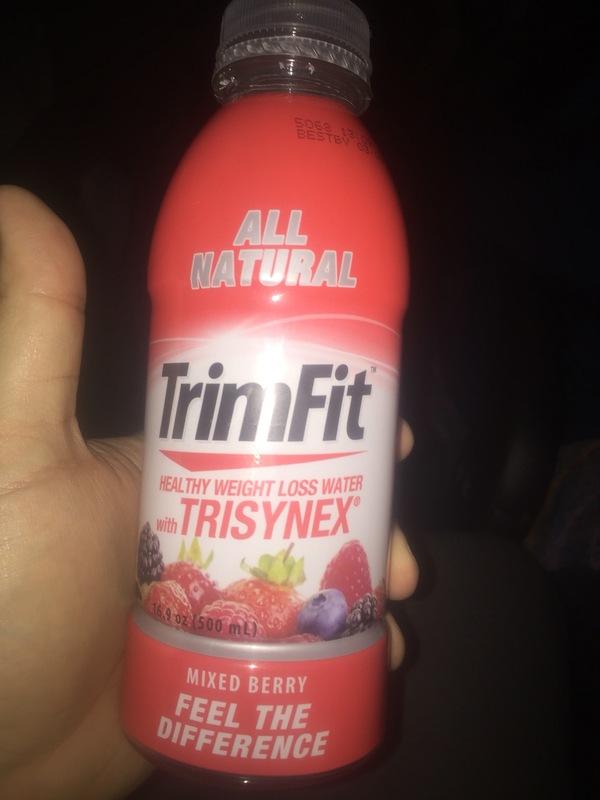 TRIMFIT is a category-creating functional beverage containing a proprietary active ingredient that is patented and clinically proven to safely help people lose weight and lower body fat while building lean muscle. 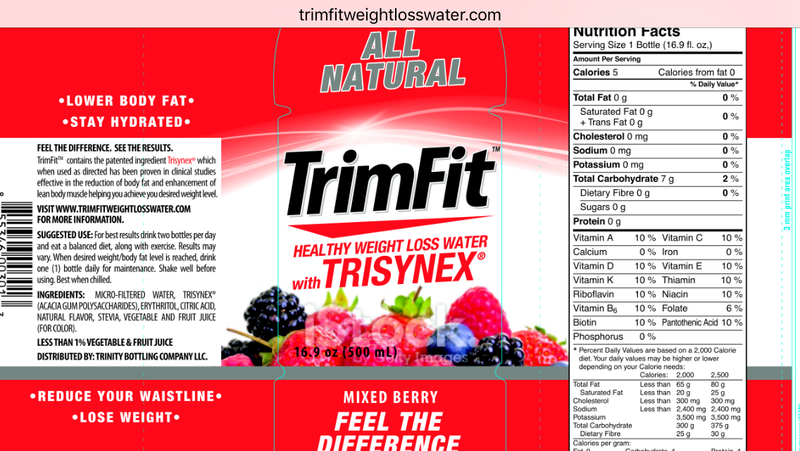 While diet colas and other zero calorie flavored waters are targeting those who are simply looking to avoid extra calories and weight gain, TrimFit is the only beverage that helps people lose weight. With the obesity epidemic affecting millions of Americans, the need for a true functional weight loss beverage couldn’t be greater. Trisynex naturally adjusts your “fuel gauge” hormone leptin and a “fat-burning” hormone called adiponectin. These two harmones elevate your fat-burning potential so you stay satisfied (less hungry), lose body fat, and build lean muscle. While results may vary, TrimFit, with a balanced diet and exercise program can help you achieve and maintain healthy weight levels and a toned body shape. Our consumer marketing strategy is designed to drive awareness and trial by introducing TrimFit’s all natural, healthy approach to weight loss. trisynex-featuresIn an eight week clinical trial at the prestigious University of Connecticut Human Performance Laboratory, the average weight lost among those consuming Trisynex was 21 lbs – 10.5% of their starting weight and 17% loss in Body Fat. This has a promising ingredient profile! That was the first thing that caught my eye! That label above is not what is on my water! Did they improve the ingredients? This is what I hate to say: exactly what Michelle Obama is talking about! The 1st label is accurate! Fruit juice for color. Less than 1% means it will give you no benefits! However the new label lists them all out as they are in there and tricking you to believe they are benefiting you! 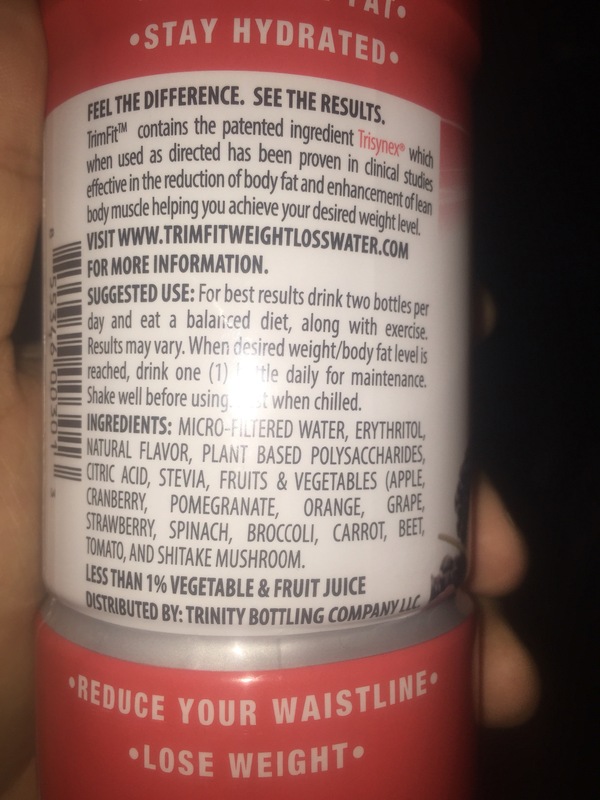 You look at the label and say: Wow a sports water with spinach, carrot, beet, shiitake mushroom! Nice! But then if you pay attention (key word if) you see it is less than 1%! Not cool! But does the Trisynex really work? Stay tuned! I actually didn’t see the Erythritol when I first looked at the label! But I certainly tasted it! Yuk! Check this coolness out! I was having trouble finding the product. The gas station I typically get it at $2/bottle is out of stock. I wrote the company and they wrote back: you can save money and buy on Groupon. The offer was removed from Groupon and I wrote back telling them that. What happened next? The CEO called me directly telling me he will honor the price and Mailout the cases and I can send in a check after I receive them. How cool is that?? That’s awesome! I see a big difference in belly fat! I have gone through 3 cases of 12 and I have been having 2 drinks a day. 1 at 6am on an empty stomach and one at 430pm with a meal. I have been doing a low carb meal for 3 weeks and 1hr of cardio a day, but my weight hasn’t moved much. I am still 287-288. My arms are massive right now (on a low carb diet that is awesome) usually I’m flat after a while. I have now finished 4 cases 2 drinks a day! I had a carbohydrate refeed day and any weight lost is now back and my stomach is puffy. That tells me the loss was only water weight and the product doesn’t work to reduce fat! I am seriously disappointed! I am going to have to call this myth busted! (I miss myth busters)!